Ten days ago, I began a trial of Adobe's Lightroom after I learned that Apple would be retiring their pro photography software, Aperture, and their consumer photography software, iPhoto, in favor of a new product called Photos that will (supposedly) serve both constituencies (see MacWorld for the announcement). In "Moving From Apple's Aperture to Adobe's Lightroom (Part 1? )," I noted some missing, "fixed" (from an Aperture perspective), and "new" features in Lightroom and concluded that things were promising thus far. Before the end of last week, but after my last post, I had also installed a trial version of Photoshop as well, since that would come with the same subscription as Lightroom. What follows is some of my additional thoughts. The alignment, cropping, color correction, and all of the general development tools (sharpening, noise reduction, etc.) work quite well. In many ways, I like the way Lightroom handles these tasks better than Aperture. I have also come around a bit on the "auto" function, but I still think it does not estimate exposure correction anywhere near accurately. It does provide a good starting point, though, for photos that need relatively little work. Before and After: Alignment and colors corrected. In addition, I have become rather fond of the "Before" and "After" functionality. The example above shows the full picture, but you can also cut the picture horizontally and vertically with the before and after sitting as a piece of the entire picture, which is very convenient. While most of the controls were pretty straight forward, I seems right to call out the usability of the alignment function: It works well, but is less intuitive than in Aperture where you just have to move the photo within the grid (Lightroom relies mostly on a slider). Where is the AF Point (Lightroom)? Canon's Digital Photo Professional with AF Point(s) shown. One thing that perplexes me is that Lightroom cannot display the AF point from the camera as an overlay on a photo; the functionality does not even exist. I read a bunch of forum posts that seemed to say this was a difficult thing to do, etc., yet Aperture does it (at least before the photo is developed). Canon's own Digital Photo Professional software can also show the AF point, so that's what I used for those photos where I wanted to know. I also still use Canon's software if I need to examine the original RAW file in a little more detail without even the basic processing done on import into something like Lightroom or Aperture. One might think that the lack of AF Point overlay functionality is a nit, but that focus point comes in handy in low light situations. 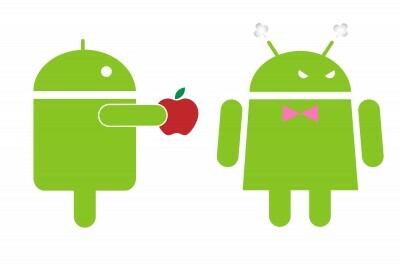 Notice that the photo in the example is slightly blurry (more on that later) due to camera shake. I was able to correct it in Photoshop, but needed to know where I had set the focus point to understand what parts were blurry due to the shallow depth of field I used (f/2.8) and what parts were blurry because of camera shake due to such a slow shutter speed being used (1/10 sec); this is small, but situationally important, function. Two stacks of bracketed photos. Note that there are very few visual cues excepting the "" at the beginning of the stack and the very light line break at its end. Two stacks of bracketed photos. Selecting a photo reveals its position relative to the stack's beginning and end. I eventually used the tagging feature to color code my stacks. I primarily used red, but when stacks were next to each other I used purple to alternate. It is an easy way around the problem I had seeing them, but some better visual cues would seem to be in order. I should not be guessing whether something is in a stack or not. Two stacks of bracketed photos. Coloring the stacks made them stand out for me. Editing in Photoshop from Lightroom. 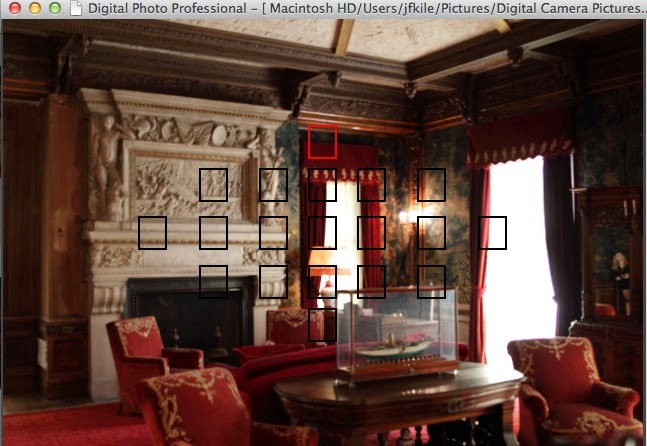 As I noted earlier, some of the photos I took at Vanderbilt Mansion were in low light. Even at high ISO (2000 in one case), I had four photos that were slightly blurry due to camera shake at the slow shutter speed I was using (e.g. 1/10 sec). Essentially, I moved slightly even though I had braced myself against the wall. In general, depending on the amount of shake, the photo could just look like it is in soft focus or be completely unusable. Since all four photos were not too bad (I could have gotten away with doing nothing at all for two of them), I thought I would see if I could correct the shake in Photoshop. 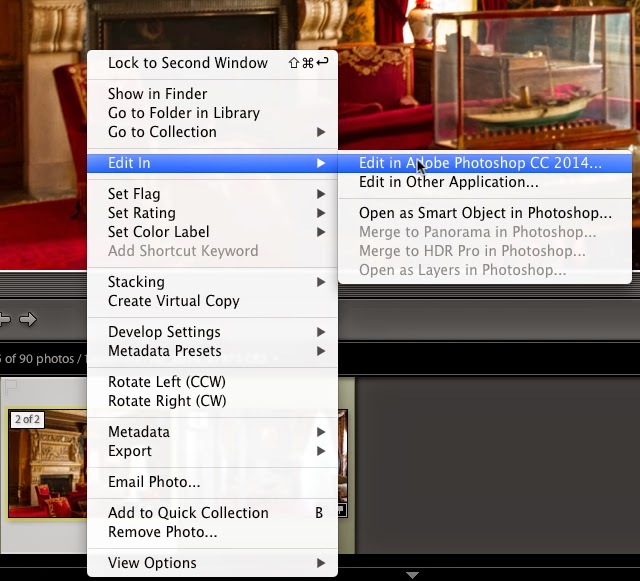 The process was pretty simple: right click the photo and select "Edit In" and then "Edit in Adobe Photoshop CC 2014." The photo is then exported and brought up in Photoshop for additional editing. I will not go into the details of how I fixed the blur, but I will note that Photoshop has a handy set of tools to select the area of the photo that requires correction and then sampling the photo and progressively sharpening it; it can use its own selected area and/or one (or more) areas of your choosing. Once the edits were complete, I merely saved the photo and it appeared back in Lightroom as a new version of the original already in a stack. Once re-imported, I finished "developing" the photo (exposure, color, etc.). For this particular photo, knowing the location of the focus point was important. When I took the picture, I had the lens wide open at f/2.8, so the resulting photo had a very shallow depth of field. It was not easy to tell where the natural focus was that had blurred due to camera shake versus naturally blurred areas because of the shallow depth of field used. Interestingly, Photoshop seemed to know where the focus point was because it picked that same area for its initial auto correction. I then selected a couple of manual areas. I am happy with the result even though I did not post this particular picture when I was done—I had another version that did not suffer from camera shake. 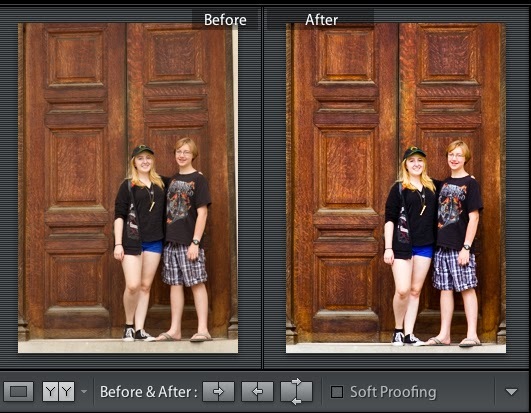 I am still happy with the way Lightroom has performed in this trial period. Despite some of the "missing features" I have noted, the most important thing is that I can effectively and efficiently develop my photographs while having enough creative tools to made adjustments I feel are necessary (or just desired). I have twenty days left, so I'll keep shooting.